Stephen Dorff is all candor as he opens up about transforming into Bryson Wheeler in his latest film, his future in country music, & the circumstances surrounding his brother’s recent death. Plus, the actor on reviving Deacon Frost for a ‘Blade’ sequel. Stephen Dorff joins Larry King in the studio to promote his new film ‘Wheeler,’ which is also accompanied by a country music album of the same name. Dorff describes how the unique concept came to fruition, with the original character written as a vehicle for delivering the country songs, and the ‘Borat'-like approach he took to filming. Later, actor Stephen Dorff discusses his transition into songwriting, and how he draws inspiration from his musical family. He also addresses the tragic passing of his brother Andrew Dorff, and how much this film meant to him. Then, Larry King asks Stephen Dorff about his future in acting, and whether or not he sees a new ‘Blade’ film coming down the pipeline. 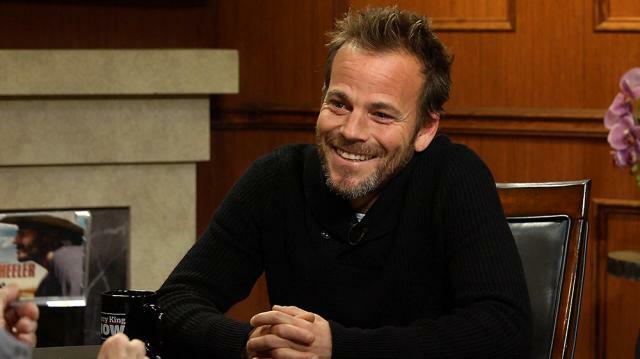 Dorff speaks to his love for the iconic film, and his willingness to slip back into the role. He also looks forward to some of the projects in his near future, including ‘Leatherface,’ the prequel to the ‘Texas Chainsaw Massacre’ franchise.